It's grey week! Today's grey is Diamine Grey. I purchased my bottle of ink from Cult Pens. Cult Pens is my favorite place to buy Diamine inks. They are super affordable ($2.55 for 30ml) and have almost every Diamine color made. I love 30ml bottles-enough to play with and use, but not so much that you are stuck with the bottle for a long time. Grey is a medium, cool tone grey. In large swabs the ink turns black, not quite sheen. Other properties: low shading, no sheen, and no shimmer. There is a little bit of shading, but the color is pretty consistent. On Staples 24 lb copy paper there was some feathering in every nib size and just a little bit of bleeding. 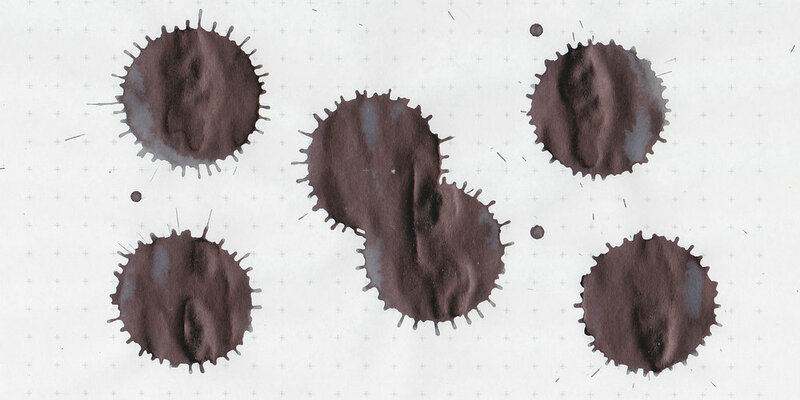 Ink swabs for comparison, left to right (top to bottom for mobile RSS): Diamine Earl Grey, Diamine Grey, and Monteverde Smoke Noir. 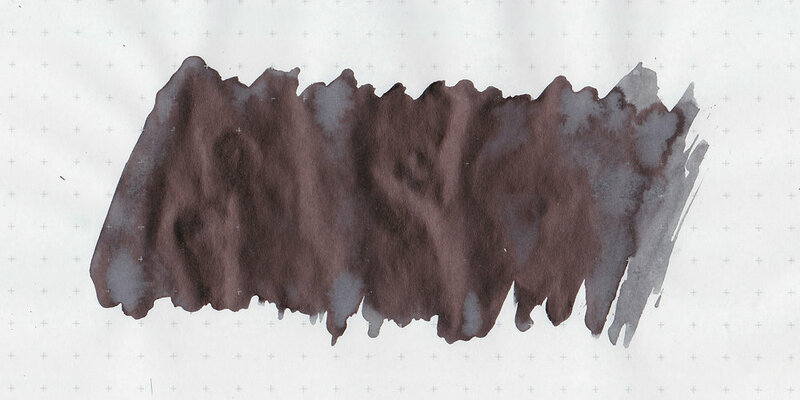 Click here to see the Diamine inks together, and here to see the grey inks together. I used an extra fine Kaweco Sport Mint and then switched to a Pelikan M400 White Tortoise with a vintage 400N nib on Tomoe River paper. The ink had an average flow. Overall, this is a great basic, affordable grey. For less than $3/bottle, you really can't go wrong.